The Culver Haven is an ideal spot to start and finish a bracing country walk. 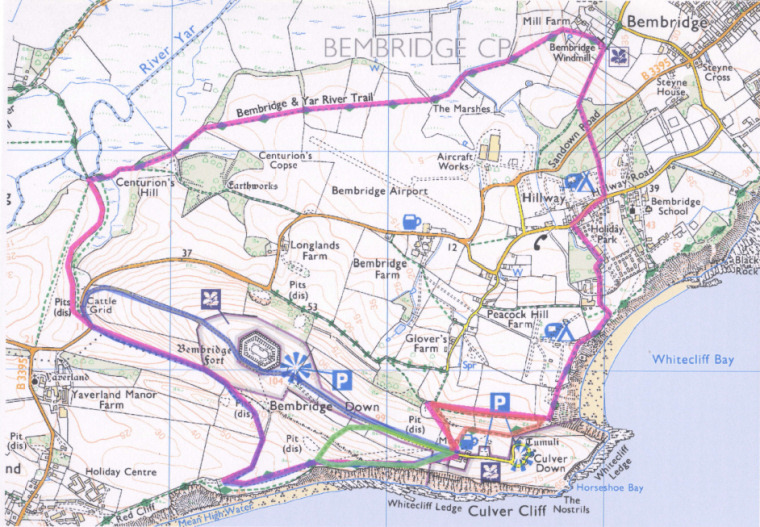 Mike Marchant of IoW Ramblers has put together a series of 4 walks depending on your fitness. All the routes are hilly as they all are around the Culver Downs although you do go down as much as you go up!